We all are accustomed with the term “Dhaba”, the name itself teases our senses. These are local open restaurants dotting the highways in rustic scenery and have a native aroma to them. The Dhabas range along the Indian Highways from the extreme stretches of the North, to the warmest coasts of the South. Small and Large Dhabas have sprung up along the highways, providing cheap & tasty traditional Indian food. They offer the best choices when it comes to lip-smacking variety of Indian culinary delights. Dhabas are not only a stop for food for the truck drivers. They certainly are a resting place for the truckers. The cozy & comforting ‘khats’ at the Dhaba and amenities such as washrooms & bathing facilities gives the truck driver a ‘Home’ away from home. On every route, truckers have their fixed stops at Dhabas where they rest & eat food. The truck drivers share a unique level of comfort with the Dhaba owners and their staff. There is a confident & special bond of friendship between the Dhabas & trucker drivers. Few years back, people used to think of a Dhaba as an unhealthy place in the open, loaded with files, and selling cheap food. However that belief is no longer valid as Dhabas are a lot better these days. Times have changed to a point where Dhabas aren't really looked down upon. People today eat at Dhabas and appreciate the tantalizing foodstuff. So nowadays it's not just the truck drivers but also a variety of populaces from collegians to families are seen enjoying the food at a famous Dhaba. 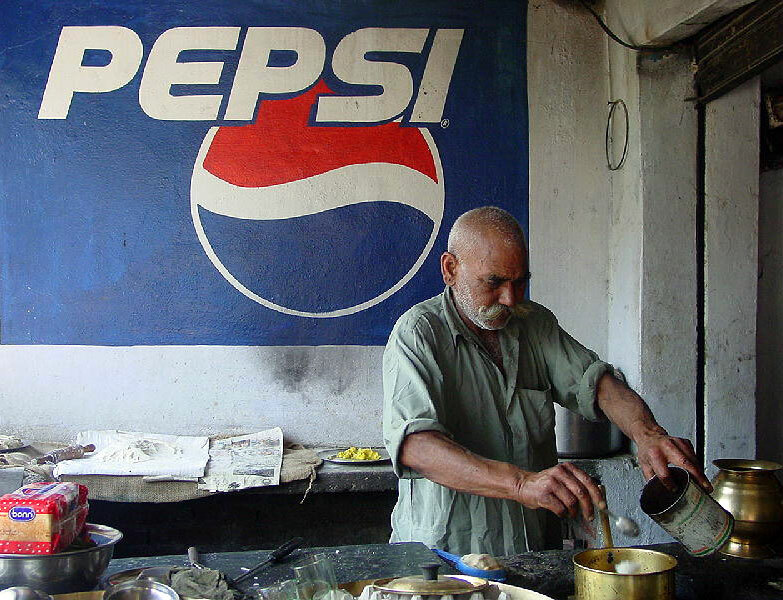 But all things aren’t easy for the Dhaba owners. The inflation is certainly pushing them backwards. Also a major concern of safety & security at the highways Dhabas trouble the Dhaba owners. We share along a video – ‘Life at the Highway Dhaba’ - which is a collaborative effort of Mahindra Navistar and Zee news to recognize and appreciate the effort taken by a highway Dhabas to feed the travellers on the highway. Mesmerize yourself with every bite that goes into your mouth and count your blessings. No matter where you come from and who you are, fact is that there is nothing that can outperform a meal containing of a parantha, dal makhani, murg makhani and an extra-large glass of lassi. about their products,lubricant usages and arguments on product experience. Definitely it give clues to Marketing Research, R&D. Not only truck drivers, during our college days usually we had farewell treats in dhabas in NH 47. The experience is very different from a typical start hotel treat. The suppliers are little friendly and their preparations depending upon the customer's taste. Thanks you for your continuing articles presenting real slice of life of truck drivers. I have driven (cars) throughout India and mostly depended on Dhabas on highways for wholesome vegetarian food and tea. They are the best value for money option, besides being very safe. You also pick up a lot of information and earthly wisdom from the truckers. Yes you are right Dhaba much associated with Indian highways and truck drivers. but sometimes it good for other tourism. Dhaba in Delhi are good and low in price but does not demand any compromise upon quality. There are dhabas in the Indian market which are really hygiene and are good in taste.